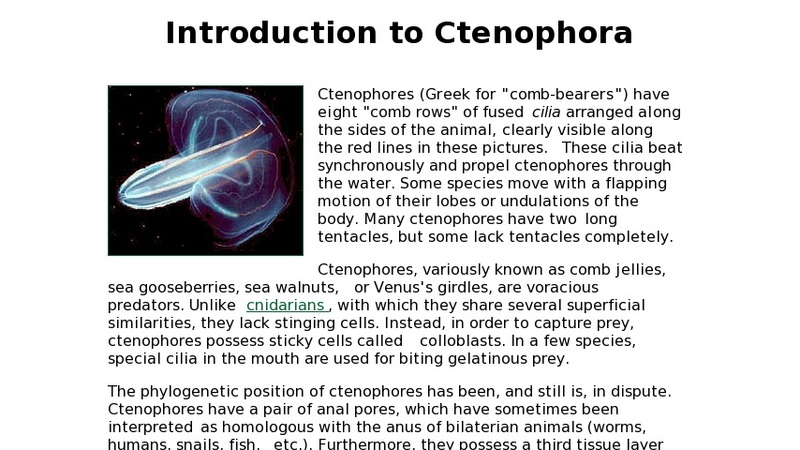 An introduction to ctenophores, or "comb jellies". Site includes links to information on Cnidarians (jellyfish, etc. ), echinoderms, and sponges.